If you could pick one monthly expense to eliminate, which one would you pick? This is because up to 60 percent of annual energy expenses can be traced directly back to just two activities: heating and cooling. Current statistics indicate that most households will spend anywhere from $1,600 to $3,500 per year on heating and cooling costs. The wide variance includes the size of the space, the age/efficiency of the HVAC system, and the type of energy it runs on. In general, unless you are planning to move very soon, there isn’t much you can do (aside from sealing off unused rooms) to control the amount of space you need to heat or cool. But in many cases, you can do something about the heating energy you use. In this post, we detail the pros and cons of different types of fuel energy so you can make the choice that works best for your budget and goals. Of all fuel energy options you have to choose from, electricity is one of the most efficient—100 percent of electric fuel will be used to heat or cool your space. However, there can still be significant losses if that warm or cold air then sneaks out through cracks, crevices, or leaky window or door seals in your home! As well, if your HVAC system is older, you may pay for more electricity to run it than you would with a new, energy-efficient HVAC system. You may gain back some efficiency losses here by keeping your older system well-maintained. As well, electricity tends to be pricier than the other options in most areas, and pricier still if you purchase “green” electricity produced from wind or geothermal sources. Can be very efficient (with an airtight home and newer energy-efficient HVAC system). May not be efficient if you have a leaky home and/or older, less-efficient HVAC system. Older oil-fired HVAC systems and hot water heaters will deliver around 70 percent energy efficiency. Newer systems can deliver up to 86 percent energy efficiency. Replacing an older system’s cast iron burner with a flame retention head can give you an efficiency boost. A major bonus is that an oil-fired system will still work if there is a power outage in your area. A drawback is that sometimes (and especially with older systems), oil used for fuel can give off a distinct odor. More reliable than electric power. Retrofits can deliver more cost-effective power. Overall, the price of oil can fluctuate greatly. Oil scores very low on the “green” energy spectrum. Can be odorous in older systems. The biggest challenge with opting for natural gas or propane is simply acquiring it. Propane can be truck-delivered once you have the storage tank on your premises. Natural gas is pipeline-delivered, which can mean it simply isn’t available in some areas. As well, the efficiency can vary greatly depending on the type of system you have. If you heat with a gas fireplace, you may get 70+ percent efficiency. If you heat with a gas furnace, you can get up to 96 percent efficiency. Very efficient fuel source for newer energy-efficient systems. Natural gas can be affordable where available. Propane will still work when there is a power outage. You can have a fireplace! Propane tends to be pricy, especially with a longer delivery route. Propane requires an unattractive above-ground storage tank on your premises. Wood or wood pellets have much to recommend them. They are both super-cheap when compared to the other fuel energy options, so long as you are locally sourcing them or cutting the wood and stacking it using your own sweat equity. They burn in a cheery, bright way that is particularly cozy and comfy when temperatures plunge. They can effectively take your property “off-grid” so you are self-sufficient fuel-wise. And the newer wood-burning systems can actually pull off up to 75 percent fuel efficiency (although their older relatives may swing only 55 percent at best). Cheery, bright, and cozy, especially in a fireplace. “Off-grid” option and reliable in case of a power outage. Can be pricy if you are paying to have wood hauled in. Wood is not a “green” fuel source. Fire safety is a major concern (and you may pay more on your homeowner insurance). 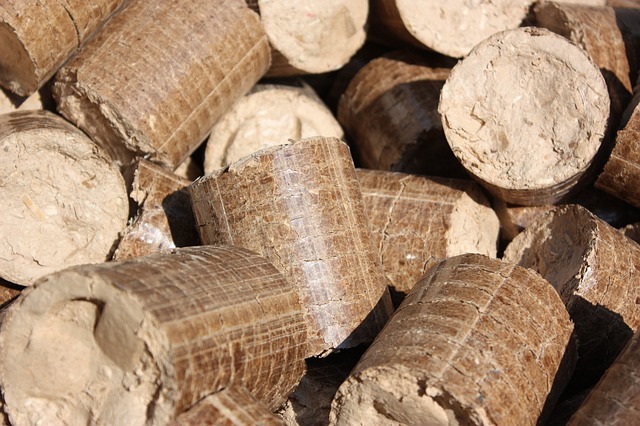 If you are prone to allergies or asthma, burning wood or pellets can make your symptoms worse. You need a place to safely store and cure the wood. Wood pellet stoves often also use electricity, which keeps you vulnerable to power outages. Don’t Forget About Ontario’s Energy Efficiency Incentives! Ontario recently earmarked $100 million for supporting local homeowners making energy efficiency upgrades. Canada also offers a variety of rebates and incentives for upgrading to Energy Star-rated appliances. You should also check with your province and local energy providers to find out about possible deals, rebates, incentives, or tax credits that may be available. 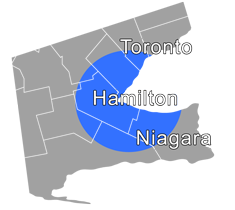 We have been proudly serving the Hamilton and surrounding areas for nearly a century now! If you need help selecting a new energy-efficient HVAC system or want to realize greater efficiency on the system you currently use, give us a call!